One of the most important question companies, irrespective of their industry and size, across the globe are asking at the moment is – how to break down the growing silos between Digital Marketing and PR? Before finding an answer to this question, brands need to realise that Digital Marketing and PR are non-replaceable parts of the content domain. Experts are of the belief that PR and Communications are responsible for pushing a significant amount of content creation starting from developing the messaging strategy to newsroom content. The nature of PR content is multi-dimensional and can be text, audio or video. It usually comprises Press Releases, Case Studies, Blogs, Social Media Content, Newsletters, Articles and more. Although Digital Marketing is responsible for boosting demand, content plays a very crucial role in meeting the marketing goals. In fact, it plays an instrumental role in the crafting of Digital Marketing strategies. Realising the role of content in creating brand awareness and meeting client acquisition targets significantly widens the possible integration opportunities for PR and Digital Marketing. 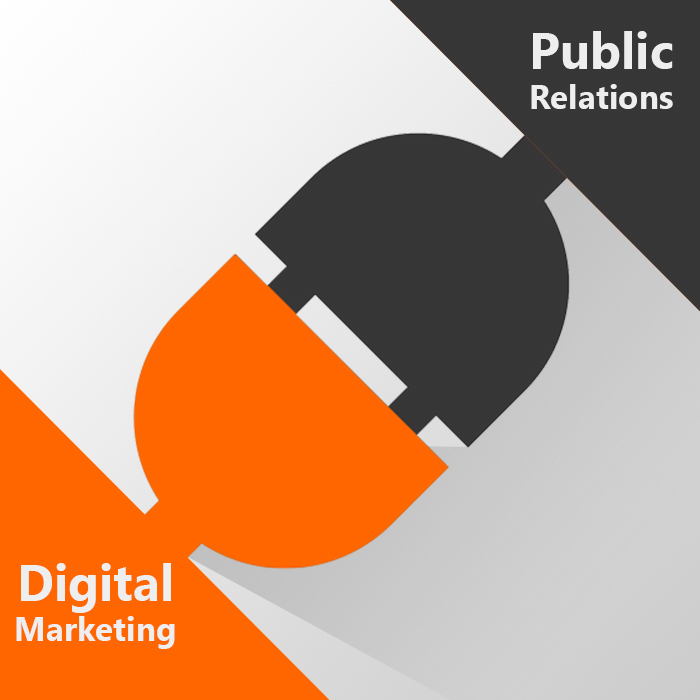 Let us take a quick look at some of the possible ways that boost the integration of PR and Digital Marketing. Some of the most commonly heard PR goals are creating awareness, reputation building, improved positioning, enhancing mind share, educating the audiences, bolstering engagement levels and sales. This is where Digital PR comes in handy as it ranges from enhancing media relations, gaining editorial coverage as well as working in close coordination with the Social Networking platforms. Digital marketers are responsible for enhancing web traffic and Content Marketing targets profitability. Content Marketing performance is also judged by the shortened sales cycles and ROI. As Marketing and PR aim to boost sales performance, an efficient PR strategy should include Content Marketing that helps improve performance considerably. It is believed that marketing and PR should look for a common ground for attaining the desired targets. Alignment of objectives helps to find new ways of working in close collaboration with each other. Alignment of goals and finding the common ground helps serve as a framework for creating a business case. Identify a relevant opportunity that will display how both Digital Marketing and PR integration can bring improvement in attaining the desired business targets. These results can be later used to strengthen your case. When looking to bring value to PR and marketing objectives, culmination of publicity, targetted ads, email marketing, social media promotion and optimisation can do wonders. Market analysts are of the opinion that there are certain barriers that need to be taken care of for improving integration of PR and Digital Marketing. Timely planning helps the enterprises to prioritise, set positive targets and also allocate resources to ensure goals are met. Your channel strategies should be aligned for a consistent message and improved user experience. Separate digital and conventional marketing teams lead to competition. It is crucial that every company devises a plan to break down the functional barriers so that all the teams work together towards attaining a common goal. The lack of integration between the external and internal agencies often acts as a major hindrance. The requirement for integrated marketing and PR has now become more of a necessity. The question is – how should enterprises deal with this situation and what strategies PR agencies should adopt to make the integration smooth? I feel that a content-focused Digital Marketing and PR Strategy can boost the brand visibility and enhance sales. In today’s fast moving search and social Web, content flows in every direction throughout a variety of platforms, formats and devices. The mass adoption of social platforms has facilitated a revolution of information access, sharing and publishing. Now more than ever, creating content that influences growth in media and new business requires an integrated approach. If you want to ensure that your brand is in the media, become the media. It would be appropriate to state that PR excels when the focus switches to consistently producing valuable, shareable content that appeals to the key audiences. This is one of the tasks that conventional PR agencies are experienced in.